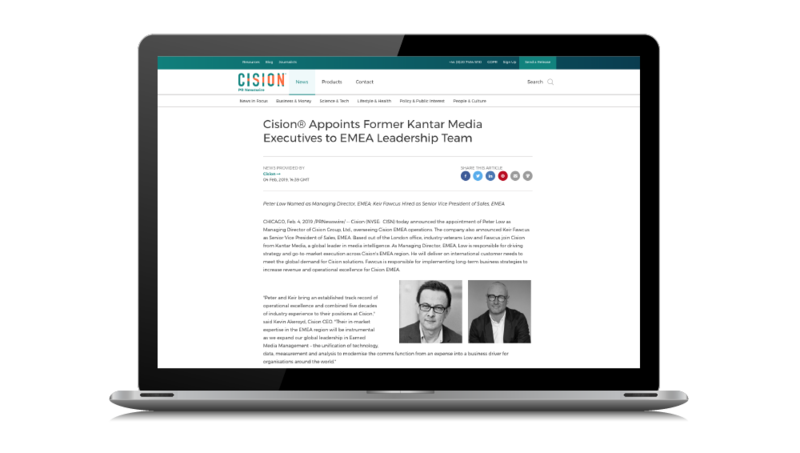 Cision Distribution by PR Newswire helps communications teams gain earned media and prove business impact by providing unrivalled access to influencers across traditional, online and social mediums. Nobody can generate more credibility or visibility for your news than Cision. 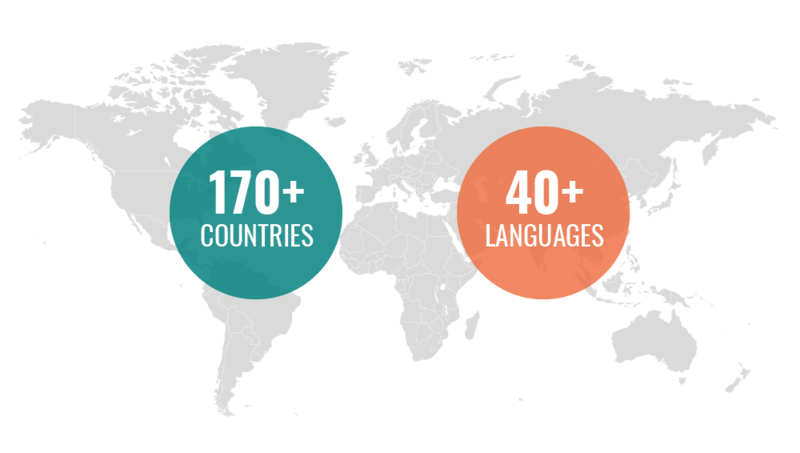 Our expansive network targets and delivers content to salient media outlets, influencers, trade publications and websites. Our credibility, digital authority and technology help to garner media coverage, drive online visibility and boost search engine results. So, whether you’re seeking editorial coverage, investor awareness or consumer engagement, Cision can boost your results. Every PR Newswire press release receives a complimentary Visibility Report to provide insights on release performance. The Visibility Report provides a snapshot of the overall success – highlighting online pickup, traffic, audience data, engagement metrics and industry benchmarks – of your distribution. 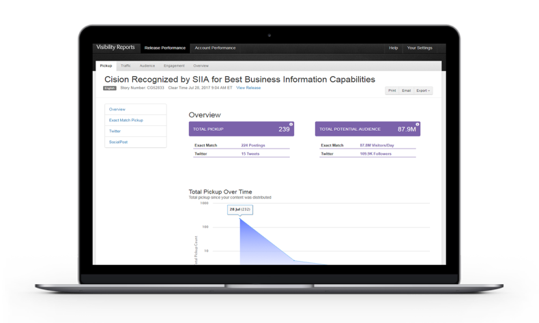 Receive reports on where your release appeared online and how to interpret impressions. Compare distribution results of different releases to gauge audience reception. Visual content drives discoverability and sparks engagement. Make your story stand out with engaging visual content that is more likely to draw the eye of the media. In fact, 71% of journalists “always” or “often” use multimedia in the stories they publish. Multimedia is no longer a nice to have; it’s a must… and Cision provides flexible options to help you make the most of it. Multimedia distribution – boost the visibility of your message by up to 2.8x by including multimedia with your press release, in whatever combination you need. Our website offers a variety of templates to showcase your multimedia and many of our website partners support and render photos, videos, infographics and PDFs. We can even showcase your image on a Times Square billboard. Multichannel news release – streamline your existing owned and paid efforts to simultaneously enhance your earned channel. Drive targeted audience views, garner earned media, boost engagement and generate leads with a custom designed landing page. 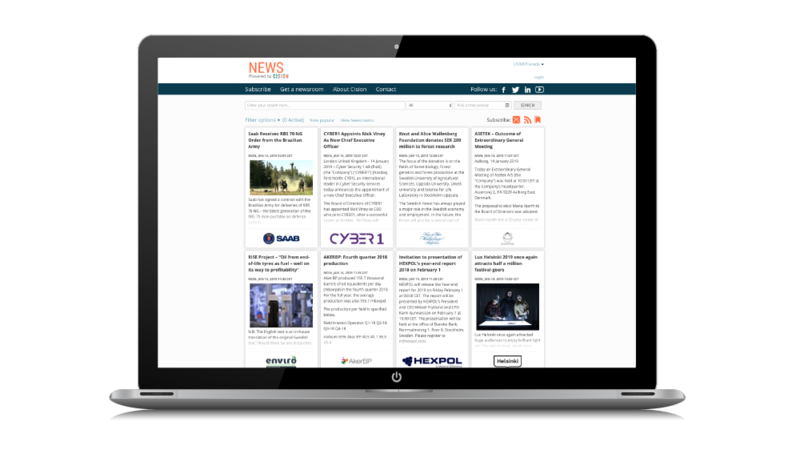 The Cision Comms Cloud Newsroom integration provides a dedicated organisation news page which can host everything related to your public relations activities. It’s useful for journalists, who can easily get the information and latest news they need about your company, and it’s helpful for potential customers who want to know what your brand is up to. With over 4.5 million unique browsers per year to news.cision.com, you can be sure to attract and build new audiences for your brand.